Chairman of the Department of Otolaryngology-Head and Neck Surgery at Lenox Hill Hospital. Special experise in head and neck tumor surgery, thyroid and parathyroid surgery, sinus surgery and surgerry for tumors of the voice box. "In my opinion Dr. Harel is a very good doctor. I would recommend him to someone who needed the same type of surgery." "Best I have had in many years"
"Dr. Har-El's explanation of my situation was excellent and he answered all of my questions in great detail." "Dr. Har-El is an exceptional care provider and a great asset to Northwell." "Dr. Har-El is a wonderful & caring provider. Excellent surgeon. " "The doctor gave me all the time I needed. He made me aware of all risks I might had." "I am so please with Dr. Har-El he is the best doctor I have ever had. I am 74 yrs. old. God bless him." "Dr. Hal-El took time to explain +/-- of my problem - Did not rush at the door." "Dr. Har-El is one of the best doctors, that I had to go for my health & I would recommend him to my family & friends." "I have complete confidence in Dr. Har-El. He performed thyroid surgery on me 5 years ago and I did very well. I am 5 years cancer free." "Dr. Gady Harel explained everything very well about possible cause and treatments in a very caring way." "I had an easy time speaking to the doctor and nurse. My mother is bilingual and understood what was explained to her." "Dr. Har-el save my life & I had tongue cancer. Cancer is gone. 7. Sign language interpreter." "The best care provider I ever had"
"I felt confident that everything being done was to aide in my recovery." "Dr. Har-El gave me surgery three times, he is the best. #9. Excellent." "Dr. Har-El is an amazing doctor & surgeon. I wish we had more like him." "It was a very good experience. #8. More than enough." 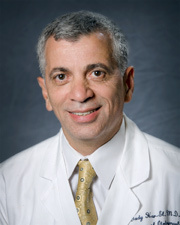 "I would recommend Dr. Gady Har-El to family & friends, he is a wonderful, compassionate doctor." "Dr. Har-El is very good." "I consider Dr. Har El to be an excellent and caring physician; always professional." "I was very satisfied with Dr. Gady Harel. He should compassion & care regarding my health." "Made me feel very comfortable and he was very knowledgeable w/my condition." "I have recommended my son to Dr. Harel and would do so again." "Dr. Harel, together with Dr. Jessica Lim, are excellent doctors - Both show genuine concerns of my condition. They follow-up even if its past their office hours. I am very happy." "Very satisfactory service received from Dr. Harel." "Care provider was - Patient & informative." "Dr. Harel is a GREAT doctor!!!!" "Dr. Harel is one of the best doctors I have ever known." "Never had any bad experience at his office -"
"Would give a + to my confidence of Dr. Harel." "Excellent care was provided to me." "Dr. Harel is the best doctor I have ever had!!!" "It was a pleasure dealing with Dr. Harel , both at the time of my operation, and... follow up visits." The new Flex system helped cure James Whiffin of obstructive sleep apnea and removed cancerous tumors from Ken Scher. Hard-to-reach areas of the throat are now accessible to surgeons treating conditions like cancer and sleep apnea, thanks to the Flex System, manufactured by MedRobotics. Ken Scher, 64, had a cancerous tonsil removed using this innovative technology. Because of that, Dr. Gady Har-El, chief of head and neck surgery and oncology at Lenox Hill Hospital, was able to avoid any cutting to Ken's jaw. This approach results in less pain and less recovery time for the patient, said Dr. Peter Costantino, director of the New York Head and Neck Institute at Lenox Hill Hospital. In Ken's case, he was back home about three days after surgery and back to long-distance cycling shortly after. Julia Vega, 25, might have been seeing double if the large, aggressive growth on her face wasn’t treated. A rare facial tumor – ameloblastoma – was quickly spreading throughout the left side of her face and would have reach her eyes and brain. Dr. Gady Har-El, Chairman of Otolaryngology at Lenox Hill Hospital, led a team of surgeons from several specialties in a 20-hour operation to remove the tumor and reconstruct her face. He expects that Julia will heal and resume normal life within the next few months. Time is the best gift you can give your mother. For Adrienne D'Amato, that time was even more special this Mother's Day after successfully fighting off a cancerous tumor in 2014.